The desire to join was two fold: being able to join a group equally obsessed with costuming and a chance to do charity events with an official group rather than randomly going along solo! I'm Richard from Masterton. Long time SW fan. Currently on the hunt for the boots to complete my jedi costume so I can upgrade my membership. People tell me that when my son and I wear our jedi costumes we look almost identical. Did someone say I could dye some black boots brown? Welcome Richard Hope to see you at Armageddon regardless of the boot situation Will your son be in attendance as well? Hi, yes he will. He will either be in his jedi costume, his MIB costume or his Iron Man costume, if I ge that finsihed. Ha, had to email my password I've been away so long!! What costume are you working on Jackie? Sorry to derail your thread Michaela. I have a fireside Padme' that doesn't fit me anymore. It's a little to tight. It's never been an approved costume but I think with some work it could be. I live in Australia so I could give it to Michaela when I see her so you could save on postage or something. If your interested PM me and let me know your sizes or you can let me know here and I'll send you some pics. I love her Tatooine Disguise as well. I've wanted to do that myself for a while. And also since I derailed and all I'll just say Hi to everyone my name is Sarah I joined in 2008. As I mentioned I'm from Australia and have had the pleasure of trooping with a few of Naboo's members on a number of occasions and I look forward to hopefully doing that in NZ someday soon. Unfortunately Sarah, I am not a small person and I more than likely won't fit the costume, and I would much rather that someone who can fit it have it and wear it than me get it and it just sits there not being worn... Thanks though! Hi Jackie, Wayne and Sarah! Keen to see you in the RL Jackie - I love Padme's Clone Wars outfits But I totally understand on having a hard time deciding! Hi I"m Andrea and I"m from Tokoroa. 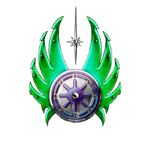 I"m a dual member of both Outpost 42 and the Naboo Outpost as are a lot of folks here. I started trooping in 2006 and I did a lot of the ground work to get this outpost up and running. I have two RL costumes my Jawa (which is a dual costume as it's also my 501st official costume) and my Jedi Master. I have just upgraded my jawa mask and my jedi belt so there's always something on the go. What size is the Padme costume. I fit a 6 or an 8 as I am petite.